“Everything had to be invented. Everything,” Johnson recalled. The SR-71, known as Blackbird, remained the world’s fastest and highest flying production aircraft ever built until its retirement. A Lockheed team led by Clarence “Kelly” Johnson designed the most advanced supersonic reconnaissance plane in early 60s. The test flight was seen zipping across the sky at 3,000 feet per second at an astounding altitude of 78,000 feet on July 20, 1963. This amazing top-secret stealth aircraft dominated the sky for 30 years from 1966. It was the world's first stealth aircraft and could fly at an altitude above 80,000 feet with the top speed of 3200 feet per second (2000mph). This means it could fly from New York to London in 2 hours. It was used to spy Soviet Union during the cold war. In 30 years only 185 pilots were qualified to fly the aircraft. The aircraft used laser air-data sensor for the first time in the history of Aviation. The sensor used laser light instead of air pressure to generate airspeed and attitude data such as angle of attack and side- slip, data normally obtained with small tubes and vanes extending into the airstream or from tubes with flush openings on an aircraft’s outer skin. The system used six sheets of laser light projected from the bottom of the airplane. As microscopic-size atmospheric particles passed between the two beams, direction and speed were measured and processed into standard speed and attitude references. Two Pratt and Whitney J58 axial flow turbo- jets with afterburners, each producing 32,500 pounds of thrust, powered the Blackbirds. Less than 20 percent of the total thrust used to fly at Mach 3 was produced by the engine itself, and the rest were achieved by the unique design of the engine inlet and a moveable conical spike at the front of each engine nacelle. Under these conditions, air entering the inlets bypassed the engines, going directly to the afterburners and ejector nozzles, thus acting as ramjets. Surfaces are designed avoid reflecting radar signals, the engines moved to a subtler mid-wing position, and a radar-absorbing element was added to the paint. 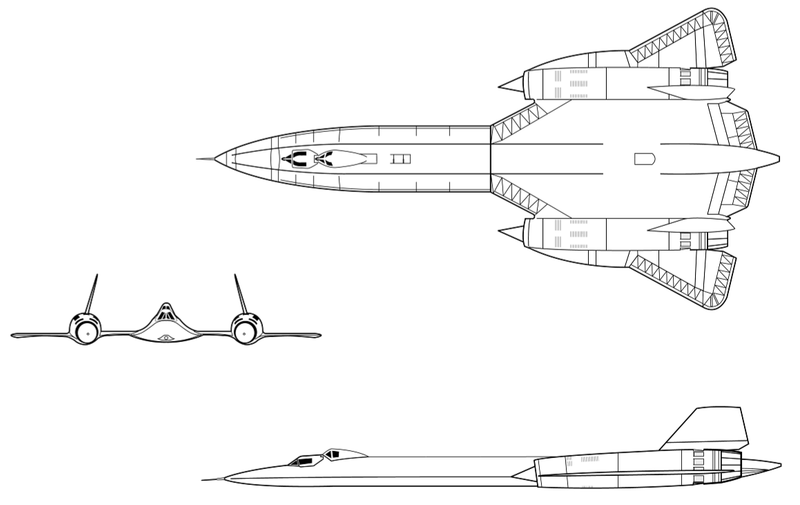 The Blackbird model, more than 100 feet in length, would appear on Soviet radar as bigger than a bird, but smaller than a man. The team had succeeded in reducing radar cross section by 90 percent. But, the some say aircraft could be detected from several hundred miles away due to heat generated by the exhaust. 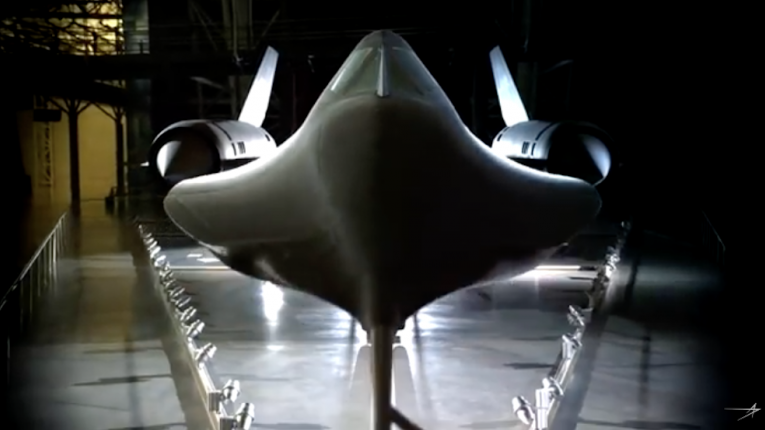 A special fuel that was stable at high temperatures was developed for the Blackbird. The fuel was used both as energy for the engine and also as engine hydraulic fluid. When the airplane was traveling supersonically, the fuel was also used as part of a heat sink. A heat sink is a device that uses a fluid to wick away heat from a solid object. 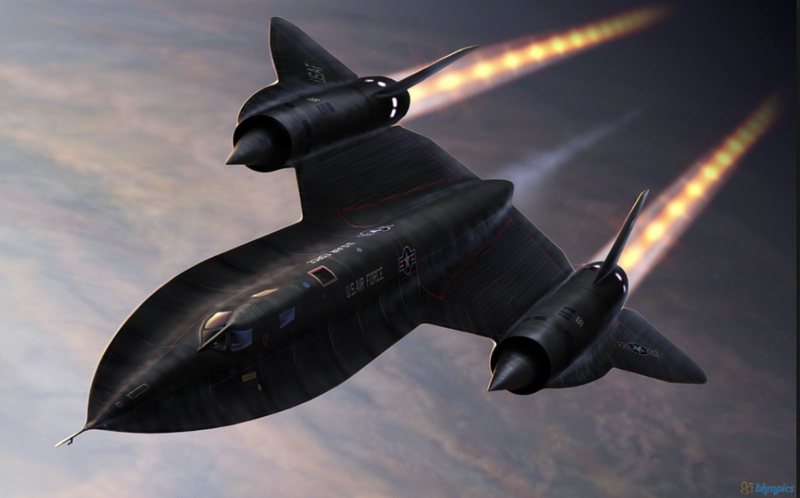 The SR-71 served with the U.S. Air Force from 1964 to 1998. A total of 32 aircraft were built; 12 were lost in accidents with none lost to enemy action.